The roads my be a little treacherous but the ski trails at Nakkertok are perfectly groomed. 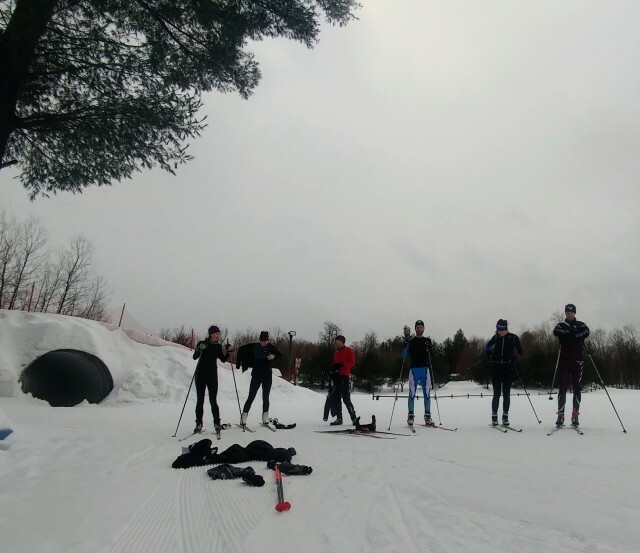 They were prepared mainly with skate skiing in mind for high school races today - which were unfortunately cancelled because school buses aren't running today. The surface is a little soft but not slow, and will definitely firm up over the course of the day.